Below are some of the ways First Presbyterian Church shows love and support for the Military, Veterans, and their Families. First Presbyterian Church is now a partner with Officers’ Christian Fellowship or OCF. OCF is a trusted Christian organization that serves military officers in all five branches of the military. OCF has had a group at Fort Bragg and Pope for decades. OCF provides Christian mentors, Bible Studies, and retreat sites for military officers and their families. an evangelistic event for families and friends on Fort Bragg. Sponsors a Military Planning Task Force for men who are in the military. The Task Force studies together, prays together, holds each other accountable, and looks at ways in which it can serve the church and the military. Offers a Women’s Bible Study on Thursdays at 9:00 a.m. that reaches out to Military Wives at the church during the school year. Sponsors Military Appreciation Night in November. In 2009, the speaker was General Dan McNeill, U.S. Army (Retired) who is former commander of the XVIII Airborne Corps and the U.S. Army Forces Command. 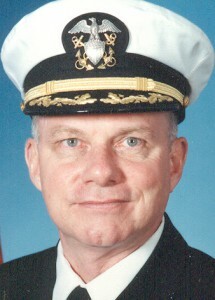 The speaker for 2010 was retired Major General Julian Burns. Former Lt. General Dana Chipman has served as the keynote speaker in 2011 and 2013. Supports the Presbyterian Council for Chaplains and Military Personnel. the Council’s Director, Chaplain, Colonel Ed Brogan, U.S. Air Force (retired) spoke at the church in 2009. There are two Presbyterian Military Chaplains at the church. They are Chaplain (Lt. Col) Ben McCoy, U.S. Army (retired) and Captain Miller Liston, Chaplain Corps, U.S. Navy Reserve (retired). 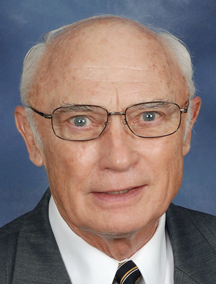 Chaplain McCoy is the church’s Associate Pastor Emeritus and a Desert Storm veteran. Chaplain Liston is a retired Navy chaplain who is part of the First Presbyterian Church family. The Church hurts for those service members and their families who have experienced combat stress and Post Traumatic Stress Injury. First Presbyterian actively reaches out to them and many in its membership who have been affected by combat stress.